© Stefany Noling. All rights reserved. 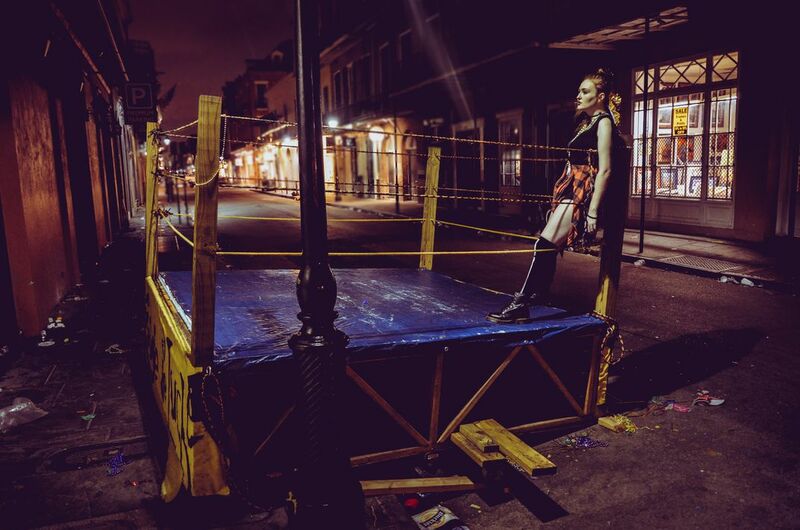 This photo was taken on a back street in the French Quarter after one of the parade floats - A wrestling ring allowing any and all challengers to brawl, finally fell apart, immobilized in the street. Date Uploaded: Nov. 17, 2017, 8:40 p.m.